William Cullen was born in Hamilton, Lanarkshire, Scotland, 15 April 1710. His father was a lawyer, on special retainer to the Duke of Hamilton; his mother was of the Roberton family of Whistlebury. He attended the Hamilton Grammar School, and in 1726 began an arts course in general studies in the University of Glasgow. Following an interest in medicine, he apprenticed himself as surgeon apothecary to John Paisley of Glasgow, spent 1729 as surgeon to a West Indies merchant vessel, and 1730 and '31 as assistant apothecary to Mr Murray of Henrietta Street, London, and in 1732 he started general medical practice in Shotts, Lanarkshire. A small legacy in 1733 financed more private study in general literature and philosophy and sent him to Edinburgh University for formal medical classes. He returned to Hamilton in 1736, a physician and surgeon, and by 1740 held a Glasgow medical degree at last. He married in 1741, started his family, and settled into terms as a town councillor and magistrate. He also became ordinary medical attendant to James, 5th Duke of Hamilton (1703-43), and his family, and his livestock. Cullen had been interested in chemistry since Edinburgh, and the Duke intended to equip a laboratory for him, and to make him superintendent of the Palace gardens. But the Duke died in 1743, and in the next year the Cullens moved to Glasgow, where father practised physic and lectured extramurally in physiology, botany, and materia medica. 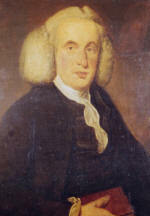 Dr Johnstone, Professor of Medicine, let him teach chemistry as its own subject, a novel idea, and by 1747 there was money for the first independent lectureship in chemistry, occupied by Cullen and one John Carrick, assistant to Robert Hamilton, Professor of Anatomy; Carrick died soon after, and was not replaced. In 1751 Cullen took the chair of medicine vacated by Johnstone, continuing with chemistry lectures as best he could, then leapt to Edinburgh in 1755, when Dr Plummer, his old chemistry lecturer, died. In 1766 he succeeded Robert Whytt in the Edinburgh chair of the Institutes (theory) of Medicine, later sharing lectures with John Gregory in alternate years in the practice of physic, into whose chair he moved in 1773. Cullen was a fine administrator, who helped found the Royal Society of Edinburgh and the Royal Medical Society (Edinburgh). For all his academic leadership he was elected a fellow of the Royal Society of London 1777, though he never signed the roll attesting formal admission. He died in Edinburgh on 5 February 1790, and lies interred nearby in the village of Kirknewton. Cullen the chemist was unoriginal but enlightened. His papers, none ever published, show that he was willing to distinguish acids and alkalis from "salts", to acknowledge the legitimacy of Boyle's atoms, and to give symbolic precision to the affinity tables then in widespread use. Cullen the man of medicine, who published only marginally, was reasonably forward-thinking as well, especially in matters of nosology. It was Cullen the teacher who shone brightest. He was deeply entrenched in Lockean empirical philosophy, and his practical lectures, in accessible English, with student-led, hands-on demonstrations, made his courses famous as far away as Philadelphia. He evangelized for chemistry as its own academic subject, and stressed its practical applications to mining, agriculture, and manufacture. Cullen's empirical practicality finally made him famous as a general scientist too. His only important paper was the write-up of his 1756 demonstration of someone else's postulated usefulness of the cold that accompanies evaporating fluids. He froze water to prove that the principles worked.